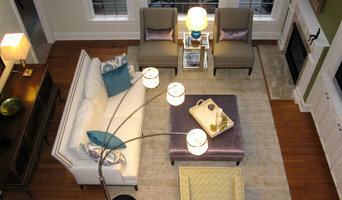 Allie Wilmoth Interior Design is a residential interior design firm located in Wake Forest, NC. Specializing in transitional design, Allie focuses on balancing multiple styles into a cohesive look. From building a new home to updating your current decor, Allie Wilmoth Interior Design is here to help you achieve your dream space. We are a full service interior design firm located in Downtown Greensboro, North Carolina. Our storefront is a color explosion of local art, quality NC-made upholstery, and one-of-a-kind vintage pieces. Our self-described aesthetic is a modern twist on southern style. Did we mention we love color? As principal designers of Vivid Interiors, Laura Mensch and Gina Hicks work independently and together to extract and deliver the most accurate interpretation of your vision. We believe: That a space should not only reflect the personality and characteristics of its inhabitants, but should also reveal tiny glimpses of their innermost souls. That the first rule of design is that the design rules are meant to be bent, warped, and broken. In taking risks—that is where the talent and magic happens. That is our gift. That the ideal clients are not always the ones with the biggest budgets, but the ones that trust our vision to make their house into a comfortable, functional and beautiful space to live. If you are looking to achieve a strong and clear impression in your space, then give us a call. Life is too short to be ho hum. Live it up, live Vivid! An Interior Design Firm working with clients to see their spaces become a beautiful, functional, enjoyable area to live in. Whether your desire is contemporary, transitional, traditional or eco-friendly, we have the resources to improve your surroundings. From pre-build to renovation or design and decor..Interior Elements by Tina can assist you in making your design process more efficient and cost effective! One of a Kind Find and Design inc.
Lee Ann Burkhart Interiors is a full-service design firm located in Graham, North Carolina offering design consulting for new construction homes, renovations and single-room remodels. I understand that designing a new home or renovating an existing space is a big investment, and I want to help my clients make the smartest investment choices that reflect their own lifestyle and personality. A thoughtful design has the ability to transform a space and to greatly enhance the quality of our day-to-day living. Everyone deserves a good design, and I will give the same attention and care to your home no matter the size of your project or your budget. I love the challenge of designing a space on a budget, as much as I enjoy designing a space for the client who says “the sky is the limit.”Either way, I am happy to work with you to design a space that looks beautiful, lives comfortably, and best of all, a space where you will look forward to coming home each day. Cameron House Interiors signature style of casual elegance has proved them to be unique among their peers. Drawing from the finest fabric and furniture houses internationally allows the finished design to be of exquisite craftsmanship and excellence. Complimenting the custom interior selections is the ability to produce the working drawings for renovations, allowing for a seamless integration of form and function. Insistence on client collaboration ensures the personality of the client is reflected in the final product. Lindsay Speace Interior Design is a boutique residential design firm based in Raleigh, North Carolina enthusiastically working with clients up and down the East Coast. A Cape Cod native now calling the South home, Lindsay brings a timeless New England sensibility to her interiors, modernized with unexpected color palettes, playful patterns, and the wit and charm of a well-placed piece of art or antique. Interior design and space planning. Full service Residential and Commercial design for the Raleigh area. Shelby Schwarzweller has been working in the design industry for over fourteen years. After studying Art and Design in North Carolina, she began her career with a private furniture and art gallery in Beaufort, SC, then worked with a commercial studio in High Point, NC designing photography sets for such clients as Gumps, Hunter Douglas, Lowes, and Target. During this time she also created corporate showrooms and catalogs for the International Furniture Market. Shelby has spent the last twelve years in Raleigh, NC, working in both private and commercial design. In 2006, Shelby took all of the experience gained in the design industry and launched her own full-service studio. Her clients range from individual residences to commercial interests. Her passion for design combined with her focus on getting to know her clients results in beautiful spaces that reflect the personality of the residents. She believes that your abode should fit you, your family, and your lifestyle perfectly. 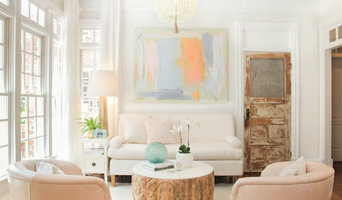 Angela Rogers is an interior designer in Raleigh, NC. She has over 30 years of experience with a unique passion for both interior and architectual design. Angela strives to work with her clients to create timeless designs that embodie each of their personal styles. Lisa Allen is a savvy and talented interior designer who has worked with homeowners and businesses in the Cary and the Triangle NC area for more than 20 years. She loves helping clients decorate their homes to each individual's personal taste. Lisa attends the High Point Market each spring and fall to keep abreast of all the new lines and industry trends. She also attends the AtlantasMart as well as home design shows in New York. Allen’s studio, located above the Ivy Cottage sales floor, reflects her love of color and enduring design. 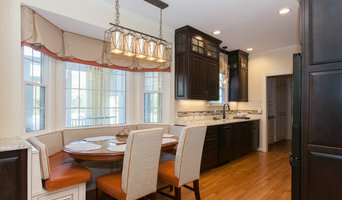 Bardi Designs is a preconstruction and Interior Design firm in Raleigh NC.